Even though this blog is home to my NaBloPoMo efforts, you won't find all of my posts here. 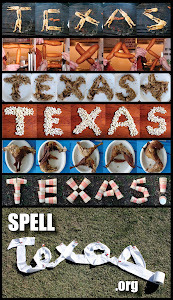 Lately I've been devoting much of my picture posting (and rerouting my football-crazed posts) to SpellTexas.org. 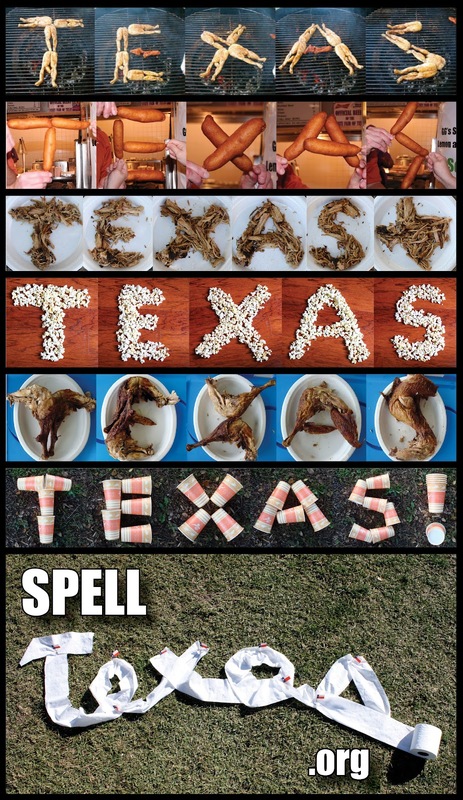 For 5+ years now, we've been spelling Texas as a good luck ritual before most Longhorn football games. The SpellTexas blog gives all of those spellings a home and gives me a place to rant and rave while leaving See-Dub focused more on our family life. Because of this weekend's band contest, I haven't created much new material here, but head on over THERE to see what spelling Texas has to do with a big bronze beaver. Thank goodness for the girls. Time to smell the cheese.